Zachary Levi shines in Shazam as an energetic superhero while there's creepy zombie cats roaming around in Maine. While it's Wrestlemania weekend and Kofi Kingston and Becky Lynch are the talk of the wrestling world, there are a couple movies out this week at the box office that cater to both comic book and horror fans. As Marvel prepared to unleash its magnum opus on the world, DC is doing something totally different. And that’s not a bad thing. Shazam! tells the story of Billy Batson, an orphan who bounces around to different group and foster homes. After a while, he finds himself in a new home surrounded by a lovable group of misfits all waiting for their forever family. Billy, who’s just trying to find a way out, comes face to face with an old wizard who passes down his powers to the teenager. From that moment on, whenever Billy says the word “Shazam,” he transforms into an adult superhero. What makes this movie so great is it’s massive amount of heart. It has everything you’ve come to expect in a superhero origin story, some cool action, funny moments and a pretty basic story. But Shazam! does something most of them don’t, it puts its characters and their issues front and center. The way it deals with ideas like responsibility, purpose and family is a nice change of pace from what moviegoers are used to seeing. People won’t be talking about the final battle or the inevitable sequel when they leave the theater. They’ll be discussing their favorite characters and moments. For years, DC has tried to figure out a way to compete with the Marvel Cinematic Universe. It finally looks like it’s found something - focusing on the characters and using them to say something meaningful. While our reviewers disagreed on the level of enjoyment they got from Shazam!, it's clear DC is moving in the right direction aka away from the emo world of Zack Snyder. 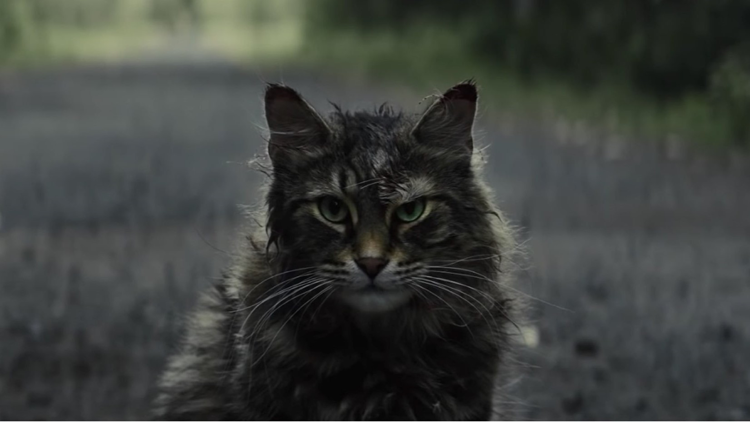 Pet Sematary (yes that's how you spell it) could be used as an argument for remakes being better than the original. The movie, based off the book written by Stephen King, follows the same beats and story as the film from 1989. The difference is this version is taken a lot more seriously, and the acting is much less campy.